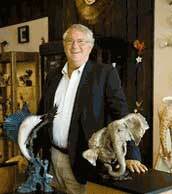 Brenda Martin is a co-founder and partner of VB Group Inc. the parent company for Wildlife Wonders. After a successful 8 year career in the real estate industry, she and her partners started the company in 1997. 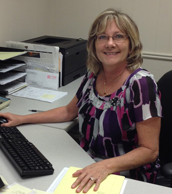 Brenda is primarily responsible for administration, our product buying, accounting and oversight of our website. She is extremely focused on our online success. If you call and talk with Brenda you will notice immediately her love of the business, desire to please 100% of our customers and her wonderful attitude. Dave Anderson is also a co-founder and partner of VB Group, Inc. After graduating from Albion College and pursuing both a law degree and MBA, he had an extensive career in the real estate, executive search and hospitality industries. He was instrumental in the start up of Wildlife Wonders bricks and mortar store in 1998 and then with the website in 2003. Today he manages finance and marketing. 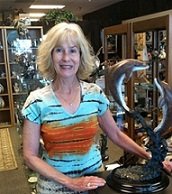 Susie Anderson, a graduate of the University of Florida, is also a co-founder and partner of VB Group, Inc. She was instrumental during our very early, pre-internet years, managing our Wildlife Wonders bricks and mortar retail store. She took six years off to teach and administrate at a private middle school. She now works with customers as our go-to problem solver. She handles all returns, processes orders and maintains our relationships with vendors and artists. Elise Anderson is our social media and copy guru. She handles our Facebook, Twitter, Instagram and Tumbler communications as well as helping with the writing of item copy. Elise graduated from Davidson College with a degree in English, with a concentration in International Studies and French, and then from the University of Florida Graduate School with an MFA degree in Poetry and Creative Writing. She currently lives in Nashville, TN. Although we have grown a lot since our inception in 1998, VB Group, Inc. and Wildlife Wonders still takes pride in being a family owned and operated company. We are gratified and blessed by our successes and are personally involved in all of the day to day operations. During our entire history our mission statement and business focus has been tri-fold. It provides the motivation for us to attain and maintain the number one marketing and sales position in our niche of flora and fauna fine gifts and home decor. First and foremost we Focus on the Customer. We treat every online patron as though they just walked into our bricks and mortar gallery. Our website is friendly, informative and easy to navigate. Toll free telephone access is clearly listed on every page. We frequently provide updates, timely shipping data, after delivery rating requests and constantly address customer satisfaction concerns. We speak personally with approximately 40% of our internet based customers and have become personal friends with many of them from all over the world. Our customer’s satisfaction is best illustrated by our overwhelming percentage of exceptional ratings, our Yahoo Store 5 Star Rating and our Google 5 star rating. Secondly we Focus on our Products. We present only the finest quality products that have been curated from around the world, which we unconditionally back with a guarantee. Over 70% of our artists and vendors offer “Made in the USA” products. The balance of our products are made in Italy, Sweden, Mexico, Uruguay, Canada and China. And finally, we Focus on Vendor Relationships. A solid business relationship with the artists, craftspeople and vendors with whom we do business, and without whom we would not be able to enjoy our days, is fundamental to our success. This relationship goes way beyond simple financial concerns, as it includes mutual business forecasting, new product development and constant communication.